Today, more than ever, patient organisations are playing an increasing role in influencing the drug development process for rare diseases. CureDuchenne is one such group bringing funding and expertise to treatments with Duchenne muscular dystrophy via venture philanthropy. Since its inception in 2003, the research strategy of the CureDuchenne organisation has been to support a pipeline of diverse projects that feature a combination of treatment routes. Its philanthropic approach has helped to bring some promising candidates to New Drug Application status this year. The goal of Debra and Paul Miller when they established the US-based non-profit organisation CureDuchenne was to raise funds to help accelerate drug development for the rare disease Duchenne muscular dystrophy (DMD). The motivation to set up the group came when their son Hawken was diagnosed with the disease. In the ensuing decade, CureDuchenne has supported research to understand the mechanics of the disease and progressed several treatments that could offer real hope for those with the condition. Although characterised as a rare disease, DMD affects a relatively large number of the male population, with an incidence of around 1:3,500 male births, and is one of the most common and most severe types of muscular dystrophy. Overall, it affects an estimated 300,000 patients worldwide. DMD is a fatal X-linked neuromuscular disorder, characterised initially by muscle weakness, quickly followed by progressive wasting of skeletal muscles leading to a loss of ambulation (typically in the early teenage years) and eventually cardiac and respiratory failure (usually in the late teens to early 20s). The failure to produce a key muscle protein called dystrophin causes the disease, and its loss generally results from mutations in the DMD gene that disrupt the mRNA open reading frame and prevents the full translation of the protein. The absence of dystrophin leads to the loss of a much larger network of proteins from the sarcolemma. Termed the dystrophin glycoprotein complex (DGC), this is composed of integral and peripheral membrane proteins that span the plasma membrane and connect the extracellular matrix with the intracellular actin cytoskeleton. The DGC’s role is manifold, but in skeletal muscle it helps provide mechanical stability to the sarcolemma during muscle contraction. The loss of dystrophin therefore leaves the muscle membrane fragile and susceptible to severe damage and muscle degeneration. The dystrophin gene contains 79 exons, and therapeutic approaches that utilise antisense oligonucleotides to restore a new mRNA reading frame by exon skipping are currently in advanced phase II and phase III clinical trials. Disease causing mutations are spread across the entire gene, but certain hotspot regions have been identified where clusters of mutations fall within a narrow range of exons, which provides an opportunity for treatment. Skipping exon 51, for example, could help approximately 14 per cent of Duchenne patients, while skipping exon 45 could help a further 8 per cent. Nonsense mutations on the DMD gene (nmDMD), leading to the production of a premature stop-codon, are thought to be responsible for around a further 13 per cent of cases. CureDuchenne’s focus is to support the clinical development of new approaches to treat Duchenne, and the majority of collaborations are, not surprisingly, with biopharmaceutical companies. Our mission is to help translate the most promising research into the clinic and on to proof of concept studies to benefit this generation of boys. Our research strategy is guided by a maturing understanding of the disease and its downstream pathophysiology: science has evolved over the past decade to the point where knowledge about the disease is not the limiting factor in finding treatments. From a strategic perspective, we believe that multiple therapeutic approaches working together will be required for an effective treatment. Therefore our research strategy is to support a pipeline of diverse projects targeting that pathophysiology, that feature a combination of approaches, such as: protein replacement, genetic and regenerative approaches to muscle regeneration, new anti-inflammatory and anti-fibrotic therapeutics as well as approaches to treat cardiac issues. Drug development is expensive and notoriously risky, and this strategy helps to improve our chances of success by giving us more clinical ‘shots on goal’. Since its inception CureDuchenne has adopted a venture philanthropy approach to funding research. We view it as a mechanism by which non-profit organisations could eventually move towards self-sustainability while continuing to raise funds for new programmes and projects. Non-profit groups can bring expertise on the disease and patient population, as well as financial contributions. The keys to its success include: being able to select and support the right projects, conduct independent due diligence, build partnerships and work with the companies we help to support. While this doesn’t guarantee success in drug development, we are hopeful it will help shift the odds ever so slightly in our favour over time. We have established a scientific advisory board of thought leaders and key opinion leaders that bring insight and advice, and help shape our strategy. We use a range of metrics to help guide research funding. For example, we take into consideration factors such as the stage of development (clinical/preclinical), the nature of the collaboration (academic versus public/private company), the risk profile and the amount of money needed to advance a project to the next milestone. Our support for academic research is generally philanthropic, while support for a company is typically venture philanthropy. In either case our objective is the same: to help de-risk the programme to draw in and engage new support as we help advance potential therapies. Today, three projects funded by CureDuchenne are close to becoming the first drugs to be approved for the treatment of this disease. Prosensa and Sarepta Therapeutics are expected to file New Drug Applications with the US FDA in 2014 for marketing approval with their exon 51 skipping drugs drisapersen and eteplirsen, respectively, while PTC Therapeutics has received conditional approval to market Translarna (ataluren) in the EU for the treatment of nmDMD in ambulatory patients aged five years and older. The company is currently conducting a confirmatory phase III clinical trial. At the start of the year, prospects for drisapersen were not good, when GlaxoSmithKline handed rights back to Prosensa following disappointing trial results. However, with increased knowledge on the natural history of the DMD gained since the phase III trial began in 2010, we decided to inject substantial funds to enable further studies to progress. We have also funded clinical programmes targeting the up-regulation of utrophin (a homologue of dystrophin) (Summit PLC, phase Ib) as well as novel anti-inflammatory and anti-fibrotic agents (Akashi Therapeutics, phase Ib). Our latest two initiatives are with Prosensa and Dr Kevin Flanigan (Nationwide Children’s Hospital in Columbus), and both projects are intended to help accelerate the clinical development of new exon skipping drugs. In Prosensa’s case, we want to help speed the clinical development of exon skipping drugs targeting exons 44, exon 45 and exon 53, which together could treat an additional 22 per cent of patients with Duchenne. Our funding for Nationwide Children’s Hospital is specifically aimed at initiating the clinical development of drugs that target the much rarer duplication exons. From a regulatory perspective, we have witnessed the engagement of both the FDA and Europe’s EMA as an increasing number of clinical development programmes targeting the treatment of Duchenne have advanced. The FDA has been vocal about introducing new pathways to speed drug approvals for diseases in which there is a clear unmet need, and has had discussions with sponsors and patient advocacy organisations. Furthermore, the regulatory frameworks in the US and Europe are geared to accommodate new drug candidates through Orphan status. Tax incentives, market exclusivity, longer patent terms, shorter and smaller clinical trial requirements and excellent pricing environments for treatments are in place and in line with that seen for recently approved drugs in other rare indications. We need to find ways to make the drug development and regulatory approval processes more efficient, especially for rare disease, in order to take full advantage of evolving technologies. There is also an important role for patients to play in this process; their perceptions of factors such as quality of life and risk/benefit need to be clearly understood and incorporated. Vertex’s alliance with the Cystic Fibrosis Foundation (CFF) (see bullets) was hugely significant for patients and a great example of the influence of a patient organisation. Kalydeco would probably not exist today were it not for the early financial support of the CFF. This success proved that an extremely motivated non-profit group can bring a cure to a rare disease. • The Vertex and CFF collaboration, which began in 1998, is regarded as the first and most successful example of venture philanthropy, whereby a non-profit organisation and a public company work together towards a common goal. • The collaboration has paved the way for similar approaches to the development of new medicines in other disease areas. • Several non-profit/industry collaborations have emerged, notably with the Alzheimer’s Drug Discovery Foundation, the Multiple Myeloma Research Foundation, the Myelin Repair Foundation and the Michael J Fox Foundation. • Between 2000 and 2007, there was a 10-fold increase in non-profit organisations investing in biopharmaceutical medicine development. • Vertex has invested more than $4 billion to develop new medicines. By 2011, CFF’s R&D arm, Cystic Fibrosis Foundation Therapeutics (CFFT) had invested $315 million with a number of biotech companies for research and development of new medicines for CF. CFFT has funded $75 million of Vertex’s research and development of cystic fibrosis transmembrane conductance regulator (CFTR) modulators, such as Kalydeco, and announced an additional commitment of $75 million up to 2016. • In 2012 CFF sold some of its rights to Kalydeco royalties for $150 million and put that money in to fund more drug development with Vertex, Pfizer and Genzyme. The alignment of our knowledge and insight about Duchenne alongside successful business models for rare diseases and a supportive regulatory framework have helped change the landscape dramatically in recent years. We are more optimistic that the first generation of meaningful treatments for this disease is almost at hand. But this is only the beginning. We continue to identify and support drugs that could offer improved treatment options. The next few years could see advances in the science of new transformative therapies based on genetic editing approaches (e.g. zinc finger nuclease or CRISPER/Cas9 technology), as well as stem cell approaches that could move us one step closer to a cure. Dr Michael Kelly joined CureDuchenne in December 2011 as chief scientific officer. Kelly, a senior pharmaceutical executive, brings more than 25 years’ experience in drug discovery and development to the organisation. He is responsible for advancing drug development programmes and identifying new drug targets that exhibit potential to transform the treatment of Duchenne muscular dystrophy. Before joining CureDuchenne, Kelly served as president and US site head of Renovis. He has also held senior positions at Amgen, Wyeth (Pfizer) and Wellcome (GlaxoSmithKline). He holds a PhD from the University of Southampton, UK, held research positions at the University of Michigan and University of Nottingham, is an inventor on more than 100 patents and is widely published in peer reviewed journals. 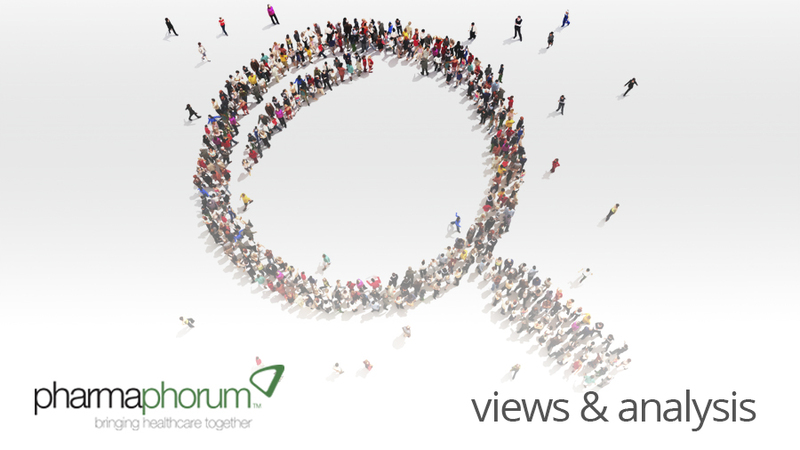 Have your say: How is the role of patient organisations evolving?